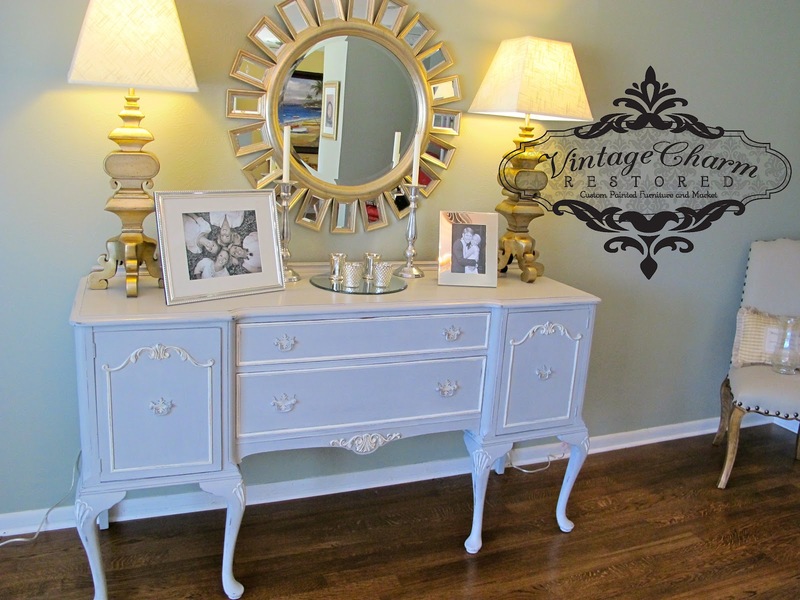 I love it when clients send me pictures of their pieces in their new homes!! It is so nice to see where they go to live!! I was lucky enough to see where these two pieces were going when my husband and I picked them up. But my husband delivered and Emily was out of town. So when she sent me the picture of them all styled up I was thrilled!! 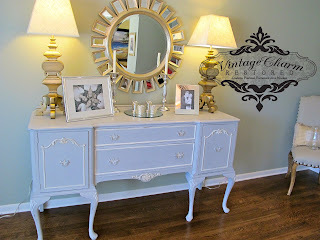 They looked so much better in her room than in my garage and dining room!! 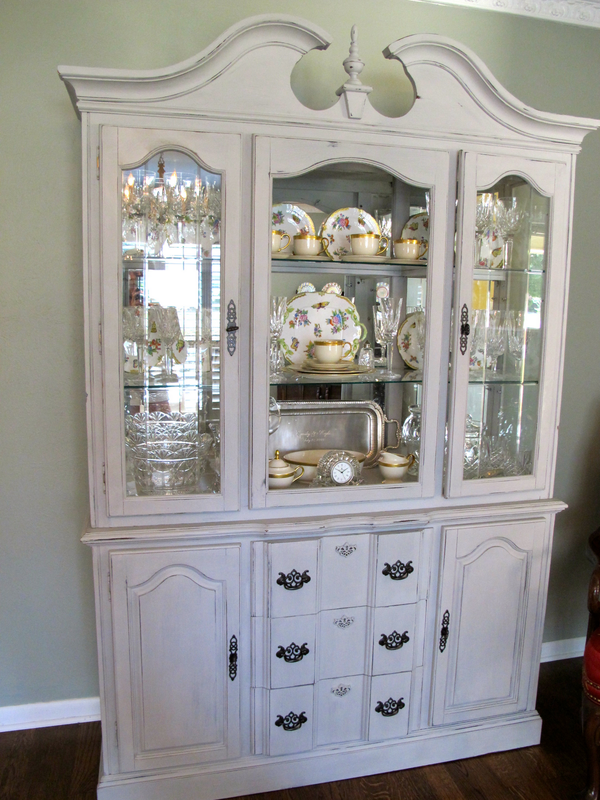 Both pieces were just beautiful to start with but need to be brought together with the room!! 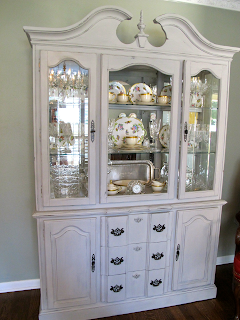 I used Annie Sloan’s Paris Grey on both and highlighted the buffet with Old White. Distressed ever so perfectly and look how pretty they look! !